for QC of HDR deliverables. available from our engineering team. to help you transition to a HDR workflow. Contact our team to book your slot. Leader Electronics are a Japan-based manufacturer of test and measurement equipment for video. Their waveform monitors and rasterisers have been at the forefront of the move to HDR, offering colourists and QC professionals quick and easy tools for ensuring their SDR and HDR images are equally stunning. We work closely with Leader’s European wing to make sure our customers have access to demo models of Leader’s key products, and you can trial them in situ at your own facility. We also partner with them to deliver HDR events up and down the country, where you can see Leader waveform monitors and rasterisers working with HDR monitors from the likes of Sony, EIZO and Canon. Keep an eye on our events page to see when the next one is. 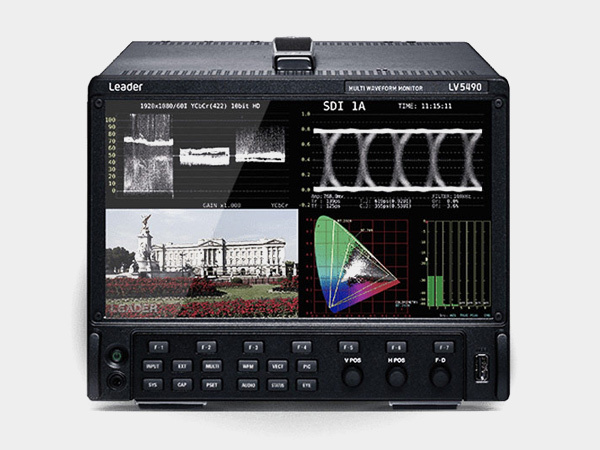 The Farm Group have invested in three Leader LV5490 4K 3G/HD/SD-SDI waveform monitors. The most decorated post firm in history move to HDR. Article: How long can your HDR workflow wait? Want to know more about Leader? Get in touch to speak to an expert about Leader monitors or book a demo, call 03332 400 888 or email sales@Jigsaw24.com, or pop your details in the form and one of the team will be in touch to discuss further.